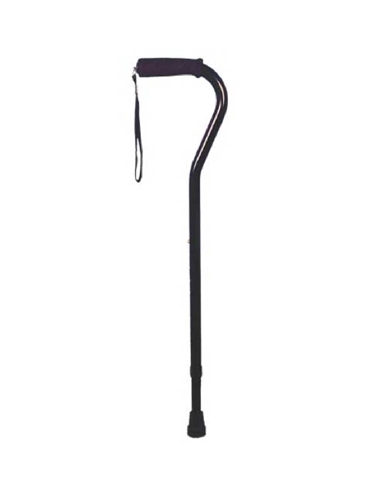 The Offset Handle Aluminum Cane by Drive Medical is an ergonomically designed cane with soft foam grip to provide comfort and security. It is black in color and height adjustable. The Drive Medical Offset Handle Aluminum Cane is height adjustable from 30” to 39”. It is manufactured with a sturdy extruded aluminum shaft. The height adjustment is an easy to use one-button adjustment with locking ring. The locking ring prevents rattling. Height adjustable from 30" - 39"